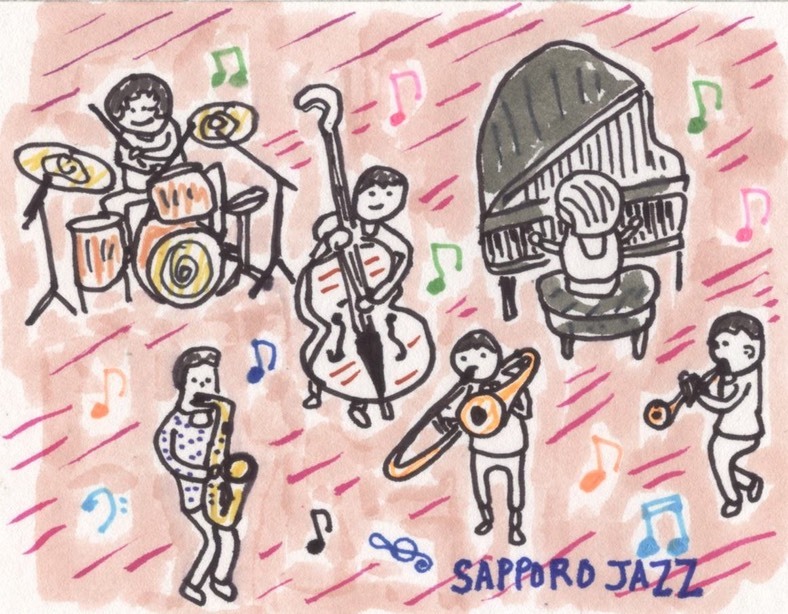 Sapporo’s jazz scene exists and it seems fairly healthy since there are quite a few jazz bars/clubs in the city. Are you a jazz fan looking for jazz related bars/clubs to explore? Please read on! 1 — Out of all the bars that I frequented in Sapporo, I went to Lazybird the most. It’s located a bit outside of downtown, close to the North 24 area (click here for the link). For live music, check the schedule. Usually there are between three to four performances a week (two sets, starting at 8). What I liked about this bar was getting to know the owner over a course of nine years. Since there aren’t live concerts every night, I would go there just to chat with the owner and the regulars. The owner can speak some English and is someone that I trust. He has a very impressive collection of jazz albums and takes requests (don’t overkill on this though… he likes to be the DJ). Some of the best concerts in Sapporo happen at Lazybird because of the owner’s connections with some of the finest musicians in the country. If you check the live schedule these concert usually cost over 2000 yen plus a 500 yen house charge (drinks are extra). Every month there are jam sessions... I would recommend jamming if you’re an intermediate to advanced level musician. Usually the leader will choose which musicians participate and it’s tightly run. If you’re going to be a regular here, I would recommend getting a bottle since it saves money and please mention that you know of the bar because of me (Mark). 2 — I’d probably say the oldest running jazz club in the city is Jericho (click here for the website). It’s been open since 1983 and the owner has a pretty impressive collection of albums. The bar is located in the basement of a building that is one block away from Susukino. The live performances range from great to… not so great. Depending on the night, you might have to listen to university students working on their chops. Professional musicians perform there once or twice a week and every few months some big shot from Tokyo appears. The live music charge ranges from 1500 yen to 3500 yen, so if you end up seeing some beginner musicians you might find yourself being disappointed after the performance. All shows have two sets and the first one usually starts a bit after 8 p.m. The owner seems to be a free thinking type. He runs the place alone and listens to the music intently during the concerts. I don’t think he can speak much English but he’s a friendly man. The one thing I like about Jericho is the feel of the place. Nothing in that bar has really changed since it opened… the decor and the worn out tables are something to be seen. Bottles can be purchased fairly cheaply and they’ll keep it for you. 3 — Just down the street from Jericho is another jazz bar called Slowboat (click here!). Slowboat is run by Mr. Fukui Ryo and has been around for quite a while (I don’t know specifically for how long). It’s located on the 4th floor and has a nice grand piano. The owner, Mr. Fukui, is the usual pianist there and he plays in a bebop style. He seems to be a very big fan of Mr. Barry Harris who has been invited to play there on occasion. The last time I went there, there was a hostess and one bartender working. Basically there’s a music charge and a seating charge... so depending on the night you’ll have to pay 2500 yen or more to get in. I suppose the reason why the charge is above average is because of the level of musicianship at this bar. There are some pretty good local musicians performing here every night. Mr. Fukui Ryo is a very talented pianist and plays standard jazz tunes. Piano trios tend to dominate the schedule. Update — Mr. Fukui Ryo seems to have passed away a few years ago. His bar/club is still happening (2018-5-13). 4 — Halfnote is run by Ms. Anzai (click here for the link). It’s located in a very unique building in Tanuki Koji (Sapporo’s only overhead arcade area) in the basement (this is a very fun building to explore since it’s got tons of bars and small restaurants). The house pianist is Mr. Toyoguchi and out of all of the pianist that I’ve seen in Sapporo, he’s own of the finest. 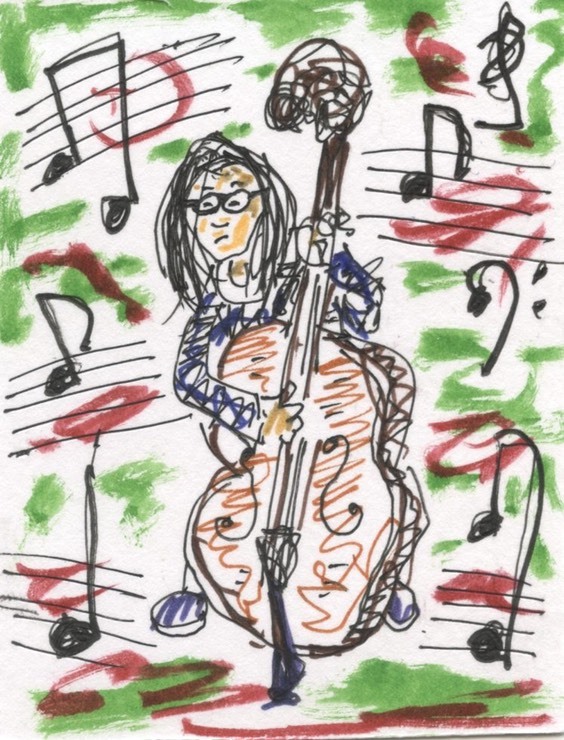 He has a very broad repertoire of tunes in his head. There are vocal concerts every week (please check the schedule). The food at this bar is quite good and there’s a good selection of alcohol. The charge to enter is 2200 yen (this goes up on Friday nights and when special guests perform). Overall it’s a very clean bar and maybe a good place to bring a date. 5 — Jamusica is located close to the West 28 station on the Tozai line (click here for the website). It has live concerts every night. Tokyo musicians occasionally drop by this place and the start time of shows is at 8. They have a pretty good variety of “types” of music (some evenings are “fusion”, funk, jazz, latin themed). This bar is one of the more spacious jazz clubs in town. The owner is a decent guy and plays a pretty funky piano. 6 — Ku (click here for the website) is located close to the West 18 station. It has some pretty exciting shows and some of the finest musicians in the country perform at this place on occasion. Most days are local musicians. The beer on tap is Ebisu and each glass is 500 yen (this may have changed...) which I think is reasonable. If you make a reservation at Ku the price of the concerts will be 500 yen cheaper. Do you just want to lay back and listen to jazz records, while sipping a coffee or some booze? Bossa is the place to go (click here). Located on the main road of downtown, near Susukino, it’s a nice cozy place to spend an afternoon or to take a nice lady out in the evening. One more place to listen to records is Jamaica, which is located in the Tanuki Koji Arcade area (around 5 Chome Minami 3). You’ll have to find your way through a maze of small bars/restaurants. This place is cozy and is basically for listening (don’t be a dope and try to talk over the music to your friend). Well, I’ve mentioned a few jazz spots in the town of Sapporo so check ‘em out. Most jazz related people in Japan are pretty open minded and accepting to “outsiders”. I find if you can play an instrument and know enough about jazz, that’s enough to get accepted very quickly. Enjoy your time in Sapporo and Japan.